From our door to your floor in 48 hours! FWE’s Quick Ship Program has a long standing history of delivering the goods, just in time. 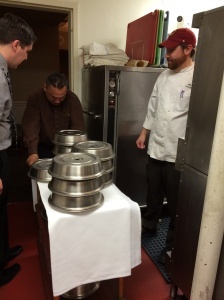 Thanksgiving marks the beginning of a very busy Banqueting Season. With all the holiday affairs of company parties, family celebrations, Christmas and New Year’s Eve coming up, the ability to prepare and serve thousands in the next few weeks is stretched to the limit. Whether it is a private event or a grand holiday brunch, everywhere country clubs, hotels, convention centers and banqueting facilities of all kinds will each prepare hundreds of turkeys, an untold amount of hams, prime ribs and sides of every type for each occasion. Sometimes the most obvious equipment needing upkeep and replacement is hiding in plain sight and gets overlooked. Inventory available now, through FWE’s Quick Ship Program, can allow chefs and foodservice management to save the day and their reputation, averting what could otherwise be a catastrophic night. Unfortunately, many will find their existing equipment lacking and inoperable only days before the big event. Unable to deliver on the biggest night of the year, some facilities may find their service lacking, reputation damaged and future events at risk. FWE takes the worry out of large services, delays and last minute arrivals with the “Humi-Temp” Heated Humidity System that eliminates hot and cold zones by gently circulating hot, moist air throughout the interior of the cabinet. Fully insulated, preheat-to-transport will keep plated meals, hot as first plated, for up to an hour. Or extend the hold time with canned fuel for well over an hour with stable, consistent even heating throughout. Designed to preserve the moisture content of the food, the P-120 model of heated holding cabinets can transport up to 120 meals at once. 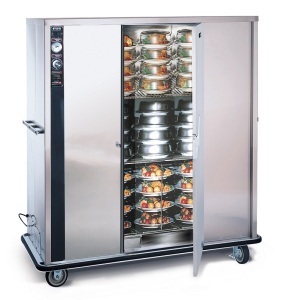 Or for larger services the E-1500 model of can accommodate up to 180 11″ plated meals. Conveniently hold hot bulk items, well before plating, with the most popular UHS-12 Universal Heated Holding Cabinet. An all round prefect solution for holding bulk food on sheet trays, sheet pans and steam table pans for buffets and banquets. 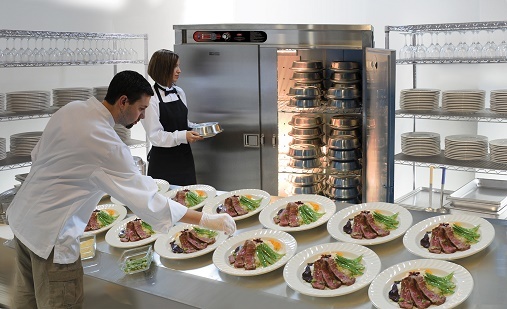 Select from a variety of FWE foodservice solutions for banqueting, catering and restaurant services.All available within 48 hours from the factory. In everything we do, it’s all about you. FWE Quick Ship is here and can provide immediately delivery on top quality banquet cabinets and heated holding equipment to get you through this season and years beyond assuring efficient service, quality product and perfect presentation. 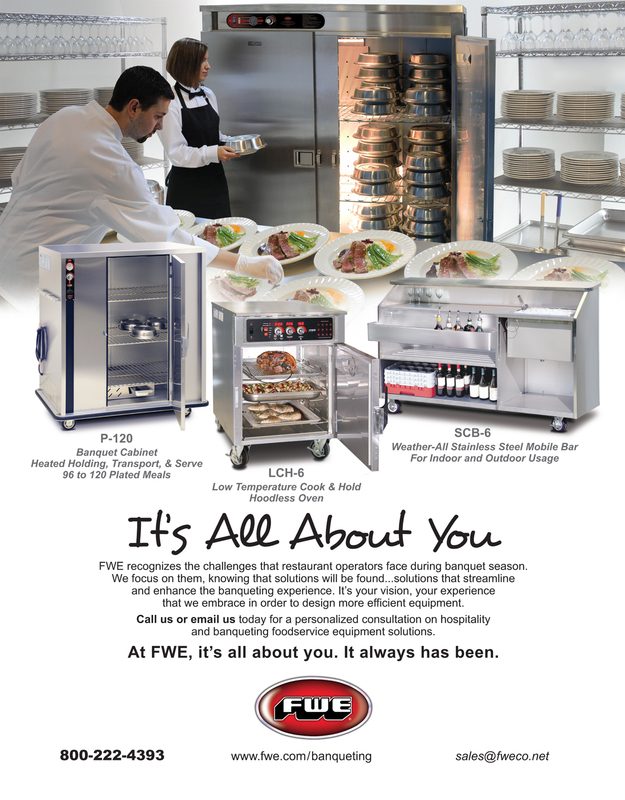 FWE is more than just Food Warming Equipment; FWE provides full service solutions for many applications of cooking, holding, transport and serving. Next Next post: The 2014 Holiday Banquet Season is Here!